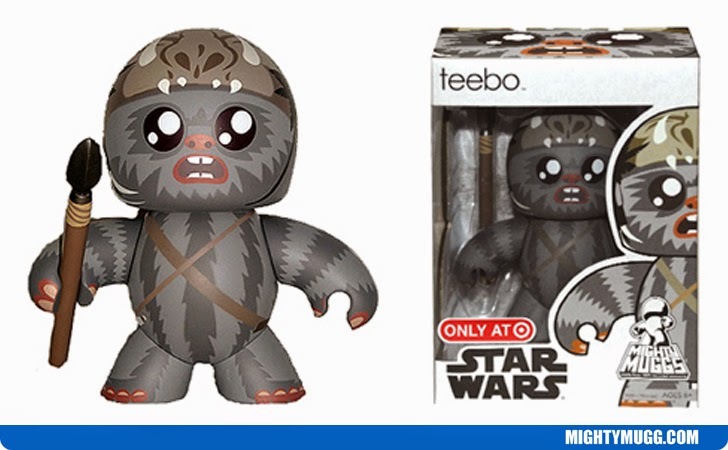 Teebo is and Ewok and close friend of Wicket. As one of Chief Chirpa's best warriors/hunter he helped the rebels fight the empire during the Battle on the Forest Moon of Endor. He first appeared in the film Star Wars: Episode VI - Return Of The Jedi in 1983. His message in the movie to other tribes translated by C-3PO was: "Tomorrow we fight to save our forest and bring down the cold metal moon. Our new golden god has shown us how. Join us and we will be free again." 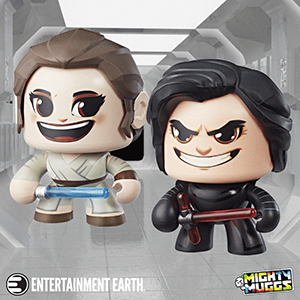 The Mighty Mugg above portrays him with his black/grey stripe pattern and his spear for battle.